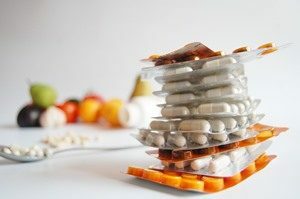 With the number of different medications to take every day, doctor’s appointments to remember, symptoms to keep track of, managing a chronic illness can be very difficult and overwhelming. And for someone who is already physically ill, I don’t think this person should have more mental and emotional stress in his/her life. Fortunately, we live in a digital age where we can easily find resources that can help us manage our lives, including a chronic illness. With 4.5 million registered users worldwide, this is the app that every caregiver and person with chronic disease should have on their phones. Medisafe can be used for multiple pill schedules, refill reminders, checking the best prices on different pharmacies, and also looking up for your medication’s interactions. Aside from managing your medications, you can also use the app to record your daily blood glucose levels, blood pressure, pulse rate, temperature, weight and create a PDF report from the app to see your progress and send to your healthcare providers. This digital health solution is recommended for chronic sufferers such as persons who have migraines, Rheumatoid Arthritis, Fibromyalgia, Crohn’s disease, anxiety and depression, to name a few, in order to better manage pain and improve communication with your doctors. The app is so simple and versatile, with different metrics that you can use to describe pain (location, type, intensity and duration). It also comes with an automatic weather report give you an insight on how it could affect pain and other symptoms, as well as a color-coded monthly calendar and day view to easily see your progress. For better understanding of your digestive health, this app will help you discover certain food and other triggers that can cause your digestive issues. The app features a flexible diary where you can document your food intake, bowel movements, medications, mood, physical activities, sleep quality, environment, energy level and symptoms. The app will then provide you a diary analysis that can reveal correlations between your food and the symptoms you experience. Another symptom tracker app on the list is Flaredown which was built by patients for patients, offering a community for individuals who are suffering from various chronic illnesses, whom you can also interact with in the app. For each day, you can log in any symptom experienced, medications taken and food intake. It comes with an automatic weather tracking and a database for food, medicines and symptoms which you can easily choose from and tag for your daily entry. This app is tailored for people with rheumatoid arthritis. Here, you can easily enter every detail about your day such as sleep, food intake, exercise, symptoms and medications, which are all important information when trying to know the impact of your daily activities on your arthritis pain. This is definitely a must-have for anyone who has diabetes and pre-diabetes. Glucose Buddy lets you easily log your A1C, blood glucose, blood pressure, meals, insulin and other medications. Thanks to its builit-in scanner and extensive food database, logging in and checking each meal’s nutrition facts is very easy, since diabetics has to watch what they eat all the time. Another nifty feature is its activity tracker which counts your steps, walks and other cardio activities. Know of any other great apps (free or otherwise) for managing chronic illness? Feel free to comment down below!